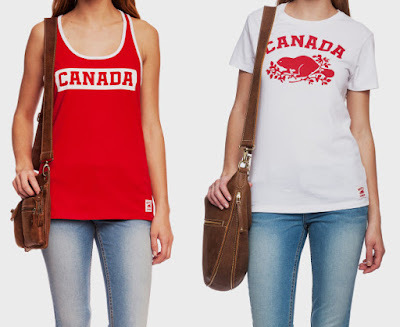 Christina Truong: Celebrate Canada Day In Style! Thinking of heading to the beach or the park on Canada Day? A casual tee and short combination is perfect. 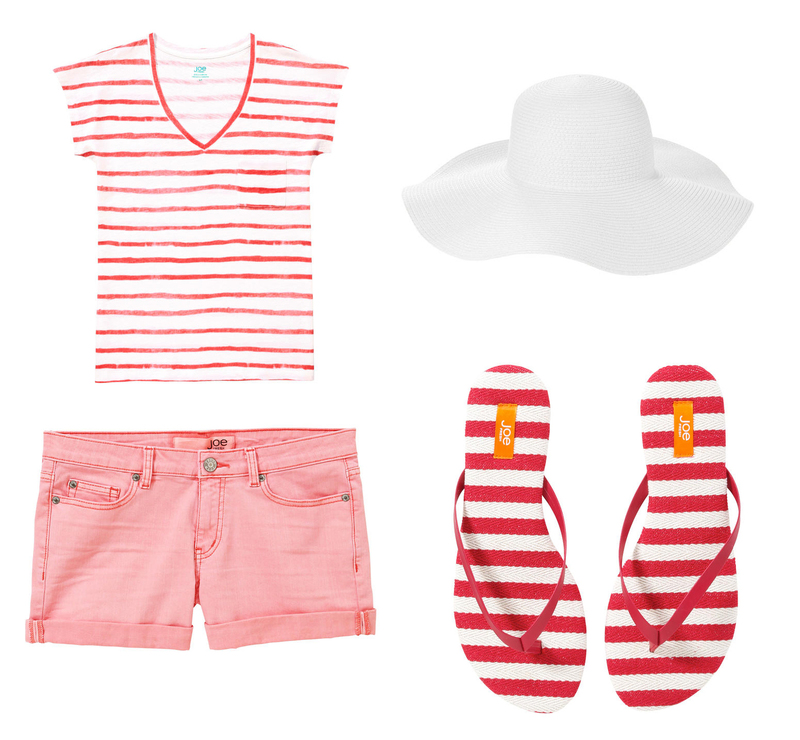 Adding in a sunhat to cover your face from the sun and a comfy pair of flip flops that screams Canada, you're ready to hit the sands. Feeling dressy? 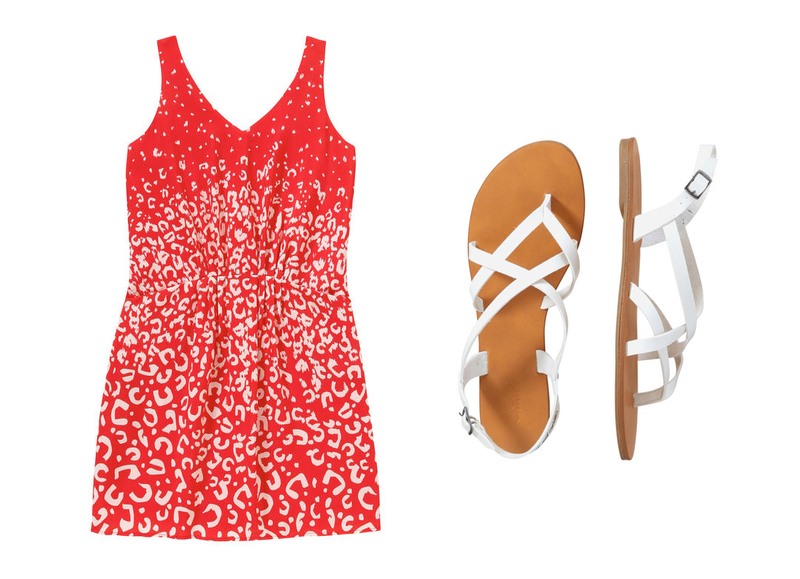 Why not wear a red and white print dress and a pair of crisscross sandals? Super cute and trendy. A great way to show your red and white without it being seen as planned. In true Canadian fashion, why not bring in the plaid flannel shirts?! Okay, maybe not flannel shirts, we'll save that for later in the year. But there is an alternative, a plaid shirt. 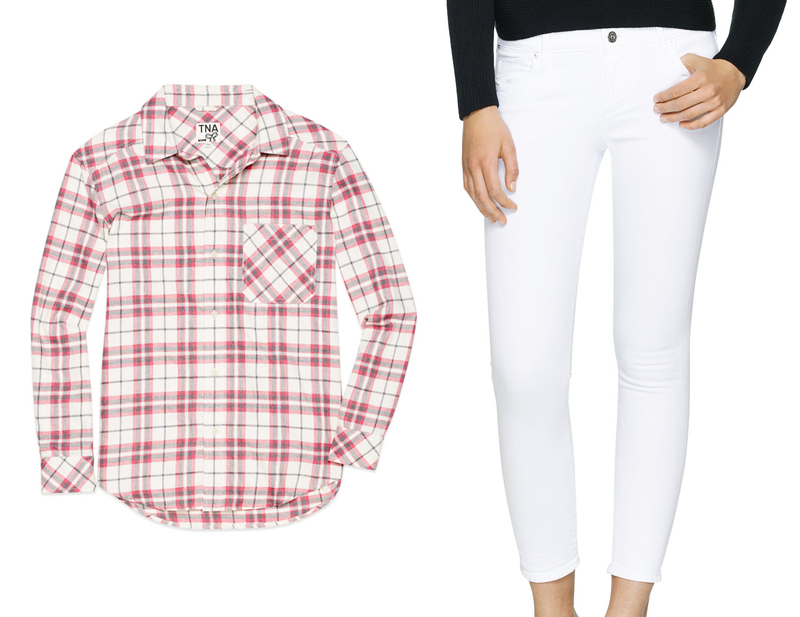 Pair it with white pant and you're good to go. A great outfit for the cottage, a BBQ party, or sitting by a bonfire. Just be careful with those white pants! Boardwalk glazing or strolling around town? 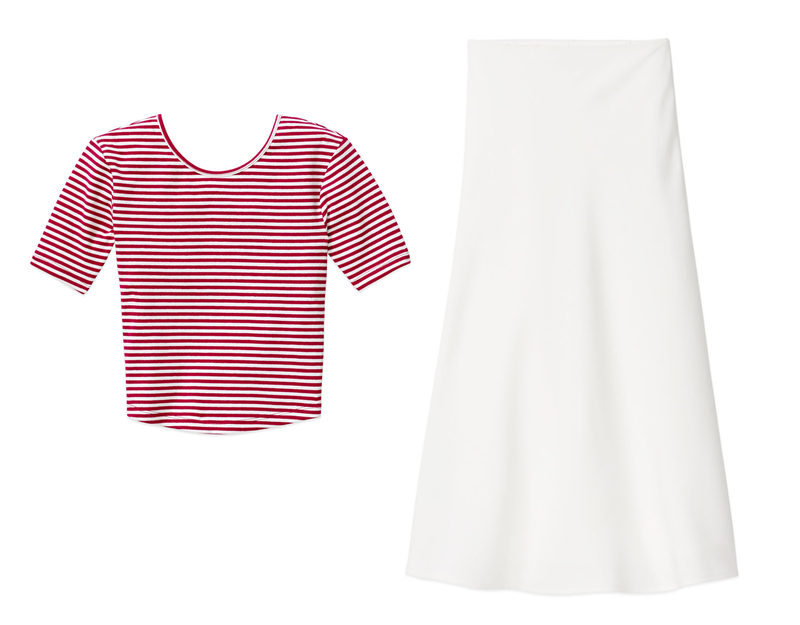 Here's a trend that is on point this season, the crop top and the mid-length skirt. 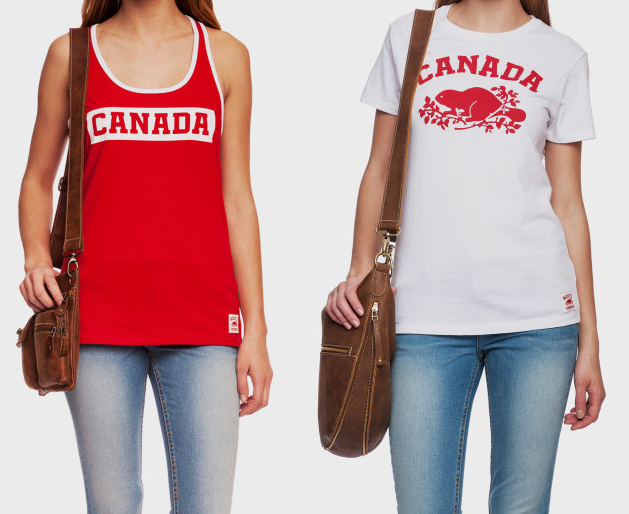 A perfect way to pair the two latest trends and also show your Canadiana! If tees and shorts aren't your style. But still want to look casual and fashionable at the beach, a party, or just a typical outing. Why not try a coral blouse, white (or off white) capri and a comfy sandal. 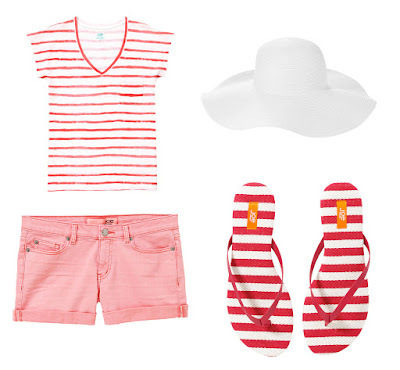 Wearing coral or any sort of pink-to-red hue is one way to create your Canada Day outfit without following the standard red and white theme. And a huge bonus, it adds a pop of colour, perfect for the summer! It is not too late to start shopping or dig through your closet for some red and white clothing. 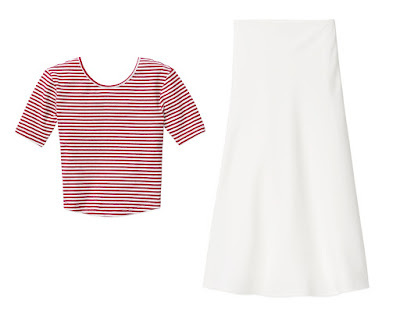 There are also tons of other ways to show your red and white. Wearing a Canadian baseball hat, homemade shirts, or Team Canada gear (the winter Olympics didn't end too long ago). Being in spirit is fun, so let's see what you've got, Tweet or Instagram me! Disclosure: Photos are from their respective source.